The main tent is completely open sided, so there are always breathtaking views of the surroundings – and guests are kept warm by the camp fire! When guest accommodation does not include en-suite facilities, toilet facilities are available, comprising one long-drop ash toilet and one bucket shower per every group of four guests. Semi-luxury tents are walk-in dome tents measuring 3m by 3m. Each has two single stretcher beds with a bedside table for mosquito repellent and a battery-powered lamp. There are also mosquito nets and a sewn-in ground sheet, with bedpans available for night use. 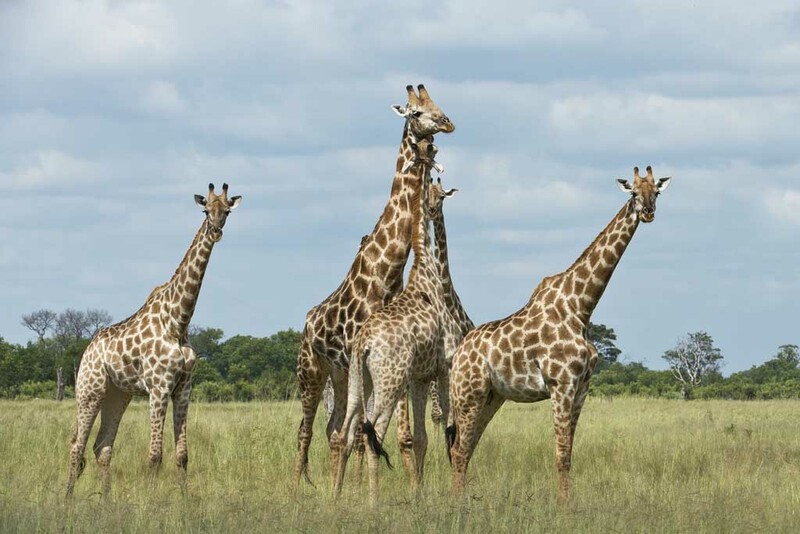 The park is the second largest in Botswana (11,700km²) and named after the river Chobe that forms the northern boundary of the park. The Chobe River supports one of the largest concentrations of elephants found anywhere in Africa, and it is not uncommon to encounter herds in excess of a hundred. The elephants leave the river for the southern region of the park during the rainy season (December to March) at the time when food and water is freely available inland. 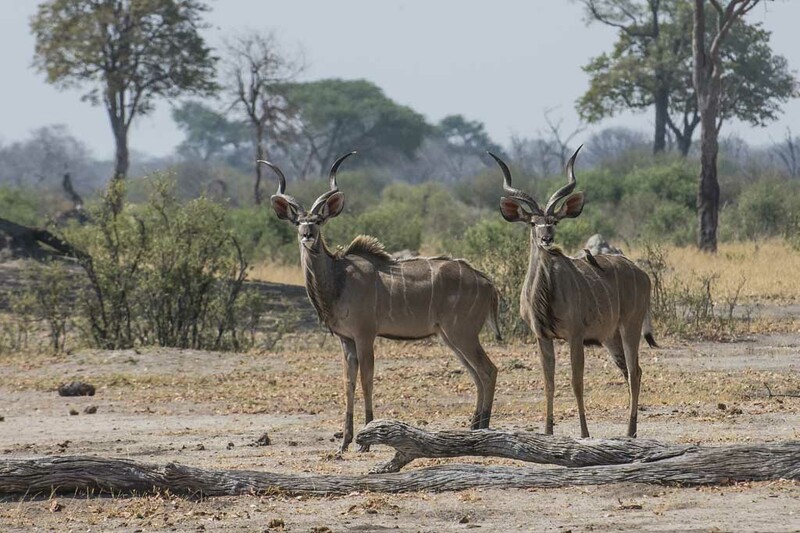 alo, the Chobe bushbuck, and for being the southern-most point where puku can be seen. The river serves as the main water source for the wildlife and birdlife in the area. Today will be spent on morning and afternoon game drives, with a siesta in between to take it easy in camp, during the midday period. a 3-hour game cruise on the Chobe River. You will have packed lunch on the boat while you are on the river. This cruise is very scenic and can be one of the best for game viewing from the water. the day with a walking safari. nitely feels out in the wilderness. Today you will drive back to Mbala gate where you will be met by an air-conditioned bus and driven back to Victoria Falls. 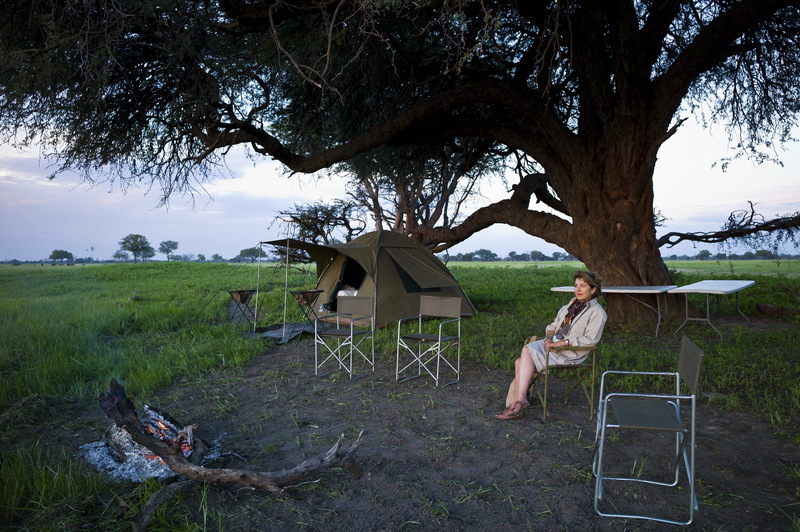 • Accommodation is in 3×3 m walk-in tents with mosquito proofing and sewn in groundsheets. • The tents are equipped with stretcher beds, foam mattress, pillows, sheets and blankets. • There is one shower for every four guests i.e. for eight guests there will be two showers. • Long drop ash toilets are en-suite. • The staff complement consists of two camp assistants – a driver/cook and waiter/general hand who travel ahead in a separate vehicle to set up camp. However if there are only 5 guests then staff travel in the same vehicle and do all the setting up once in camp. Guests are not required to help with the set up or break down of camp. • Three substantial meals per day are served, between planned safari activities. • Menus of fresh produce change every day and vegetarian or special diets can be catered for by prior arrangement. • Inclusive on the safari cost is house wine at dinner, bottled water, beer and soft drinks i.e. cokes, diet coke, fanta etc. • All other drinks (Spirits etc) are for the guest’s own account. • It is good idea to give us a list of your drinks preferences so we can make sure we have plenty of these items! • The vehicles used on the safari are custom fitted 4 x 4 vehicles. • In Botswana the vehicle seats 8 people excluding the guide. • In Zimbabwe the vehicle seats 6 people excluding the guide. • It is imperative that guests take out their own fully comprehensive medical insurance to cover any emergency evacuations, hospitalization or further treatment. • Unfortunately we cannot accept any client who is not covered.